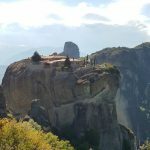 Do not miss the chance to visit the mountainous Meteora.There lies some of the oldest Byzantine monasteries on the highest cliffs.The full day private tour takes you across the scenic route of the Thessaly plain to Kalambaka, and to the second most important complex of monasteries in Greece, after Athos. 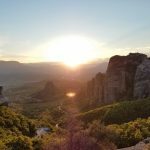 Thermopylae, Lamia, Karditsa, Trikala, Kalambaka, Kastraki. 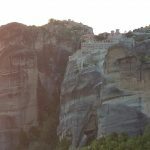 The Byzantine monasteries of Meteora are perched on the top of sandstone towers, which have been providing a safe and inaccessible refuge for the monks and nuns for centuries.